European Commission has adopted the new EU infrastructure policy “The Trans-European Transport (TEN-T) Networks” which will put in place a powerful European transport network across the 28 Member States to promote growth and competitiveness. The road is a vital link in transport infrastructure. 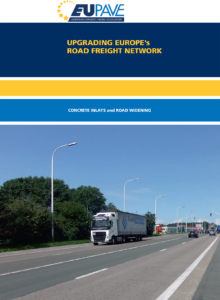 Harmonisation in quality of the road and operation as well as the capacity of the infrastructure can provide continuous mobility on European corridors. The challenge is to improve the road network in order to ease traffic flow, reduce congestion, reduce journey time and enhance road safety. and also provides useful examples of a tool to aid in decision-making between different options.